The HZ-14HV (Outputs more power than the HZ-14 module) module consists of 49 thermocouples arranged electrically in series and thermally in parallel. 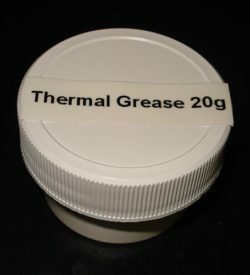 The thermocouples consists of Bridgman Cast, Bismuth Telluride based, semiconductors to give the highest efficiency at most waste heat temperatures as well as high strength capable of enduring rugged applications. 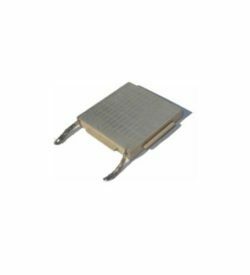 The bonded metal conductors enable the HZ-14 module to operate continuously at temperatures as high as 250°C (480F) and intermittently as high as 400°C (750F) without degrading the module. HZ-14 is the same width and length as HZ-9, but output power at the same temperaures is higher. Note two different features: Heat flux is higher and output voltage is lower. Convert any source of heat to a reliable supply of electrical power in remote locations. Convert heat from the combustion of hydrocarbon fuels to electricity creating a reliable power supply for remote unmanned stations. The HZ-14 module consists of 49 thermocouples arranged electrically in series and thermally in parallel. The thermocouples consists of Bridgman Cast, Bismuth Telluride based, semiconductors to give the highest efficiency at most waste heat temperatures as well as high strength capable of enduring rugged applications. 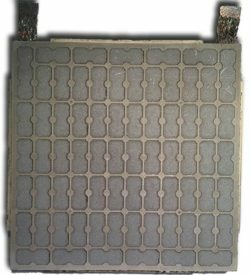 The bonded metal conductors enable the HZ-14 module to operate continuously at temperatures as high as 250°C (480F) and intermittently as high as 400°C (750F) without degrading the module. 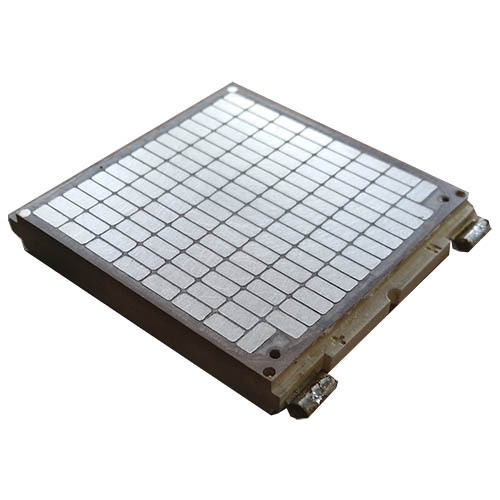 While the HZ-14 is well suited for waste heat recovery it’s reversible properties make it ideal as a thermoelectric cooler, especially for high temperature applications where sensitive electronic equipment must be cooled to below the ambient temperatures. ** At Matched Load, per graphs for properties at various operating temperatures & conditions.